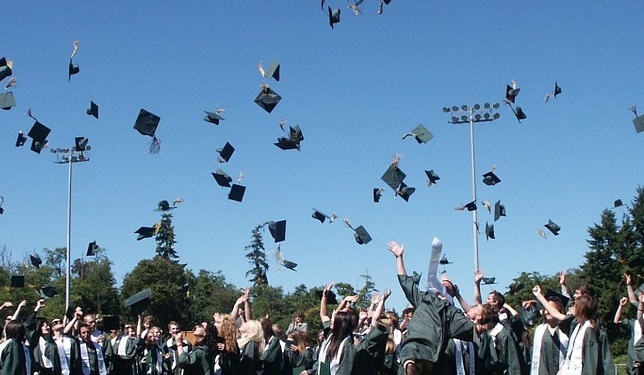 What Should You Do after Graduation? Congratulations on completing your graduation. You have successfully completed one crucial chapter of your life. But what’s next? 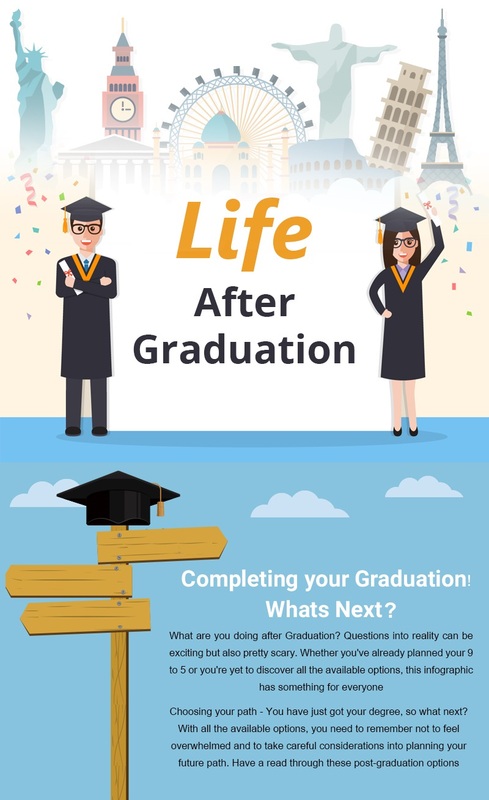 Do you have a plan for your life after graduation? Is it going to be the conventional 9 to 5 job or are you willing to try something different? Well, you have a number of options to pursue. Before you begin your journey as a professional, you can take some time to visit places you have never been. 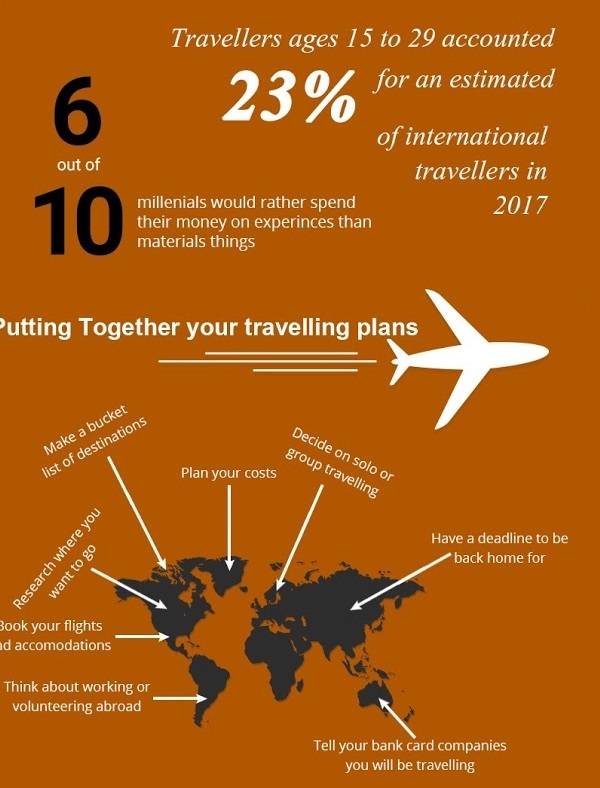 Travelling can provide you with a lot of exposure, and help you broaden your perspective about the world. Self-employment can be a great option to explore if you have resource and the connections at right places. Since you are your own boss, you can experiment with your skills and build your career the way you want. Instead of jumping right into the domain of full-fledged professional jobs, you can take some time to decide about your future endeavors while earning some quick bucks as a part-time worker. If you feel that completing graduation is not going to be enough for getting the desired job, you can join the post-graduation courses to enhance your knowledge and skill sets of a particular field. 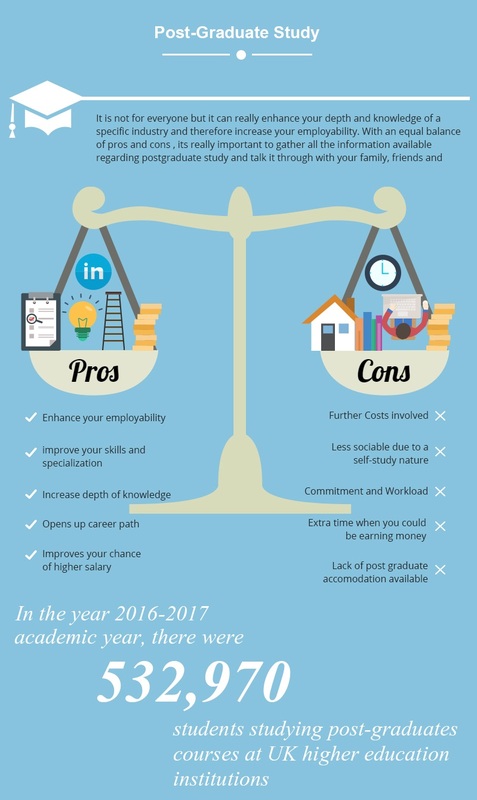 It is important to evaluate your skills and abilities before starting a career as a professional. Since your employers will test your credibility while hiring you, it is better to improve your skill sets to make yourself employable. You also have the option to explore the job opportunities in abroad. This will help you gain unique experiences while allowing you to expand your skill sets. 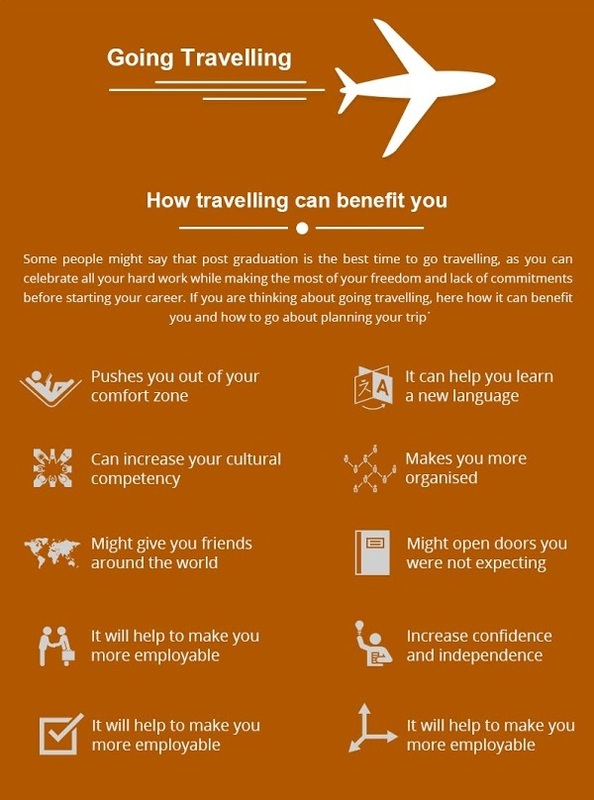 Also, it will offer you the benefits of travelling and employment at the same time. Internship and placement programs are two wonderful ways to gain some experience in the professional field. 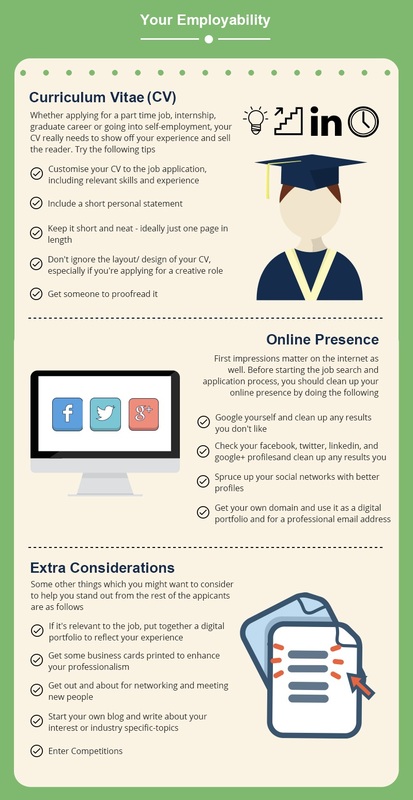 While providing you with the taste of the professional world, it also helps you improve the details in your CV. Each of these options offers you some incredible benefits. 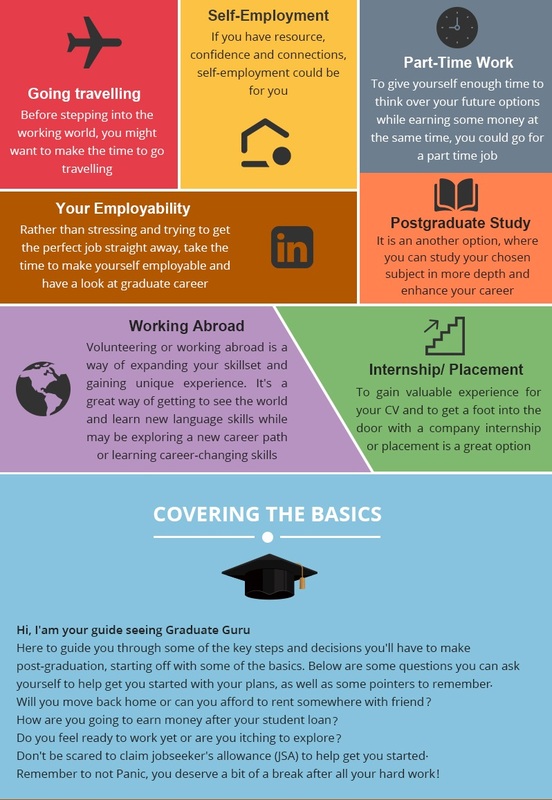 However, if you need more insight into some of these options, the following infographic may help you get a better idea about real scenario.